Alongside the Andean foothills of La Rioja, Olives Argentines is known as a leader in local sustainable production. 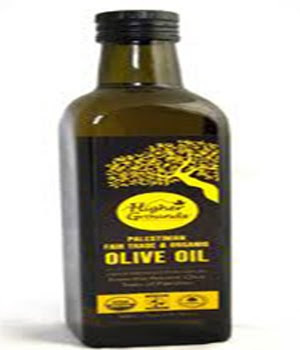 They were the first to produce certified organic olive oil in La Rioja and have been doing so for the last 5 years. Emilio Caimi, led Agricultural Engineer, has helped guide the companies sustainability initiatives and sees Fair Trade as a natural praise to Olives Argentines sustainability philosophy. We need to invest in the well-being of our soil to have a great harvest, and the same is true concerning the well-being of our employees, Emilio affirms while walking along rows of organic olive trees. As a larger-scale producer, all of the benefits of Fair Trade are directed toward the Olives Argentines working community. Management is by now making plans for their first annual assembly of workers to be held during the beginning of harvest in March. This assembly will include both provisional and permanent workers representatives to discuss the needs of workers and make a democratic decision on how Social premium will be invest in the worker community during 2008. One idea already discussed is the possible foundation of a small kindergarten for workers children to attend while their parents are working. We look forward to joining with Olives Argentines and their workers to discuss this and other proposals for invest Social Premiums for the highest social return in this worker community.